We are one of the first Web Hosting providers in the industry and we have a proud history to match. We have an enviable reputation for quality service and uptime, yet we continually strive to get even better. With experience in the web industry since 1998, Swish Connect is one of the longest serving providers of web hosting and web design solutions in Australia. Swish Connect started out as a small operation designing websites for local businesses with a focus on usability, new technologies, and superior customer service. Growing purely through word of mouth, our services slowly grew to encompass web hosting and other web services to enable small business to gain a online presence. We focused on demystifying the difficult and complicated task of taking a business online and we won high applause and a stellar reputation. 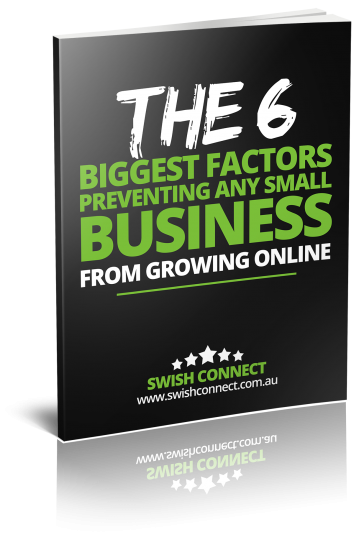 Today, Swish Connect is one of Australia’s premier online solution providers offering domain names, web hosting, reseller web hosting, Virtual Servers, Dedicated Servers and whole lot more. From our early humble beginnings, we have grown into a national organisation, hosting thousands of websites for individuals, businesses and corporate Australia. We are still proudly 100% Australian owned and operated. For over a decade, we have focused on the customer experience – ensuring the best possible solutions for our customers and giving them peace of mind and the future will be no different. We have a heavy focus on researching and implementing the latest technologies to ensure our customers are at the forefront of the fast changing work that is online.